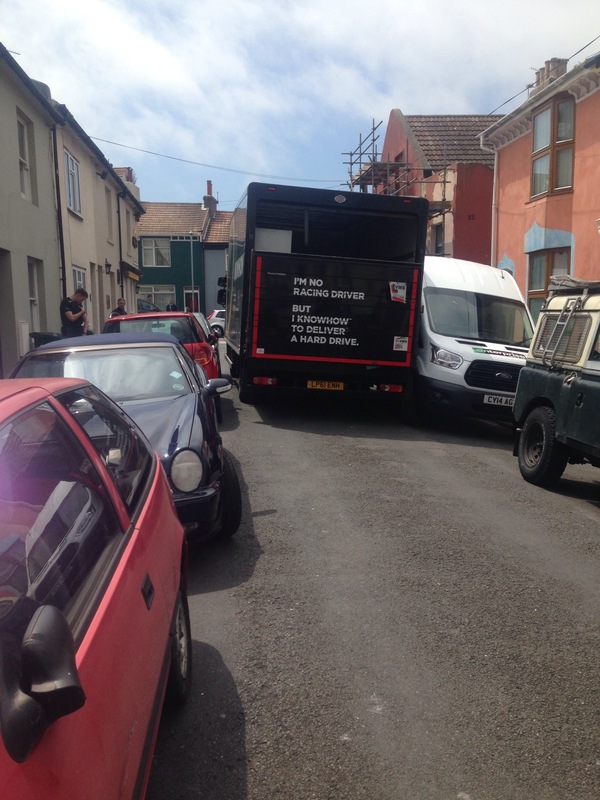 A large van has got itself stuck in a narrow Brighton street, blocking it for almost two hours. The van came a cropper in Southampton Street shortly after 11am this morning, and is now wedged between a French car and an awkwardly parked transit van. Police were called and are tracing the owner of the parked vehicles so they can be moved and the large van freed to carry on its business. Bemused by the slogan on the back doors. Evidently, he does not now how to deliver a hard drive if he turned into such a narrow street.